This year I am conducting an experiment in how to conserve genetic purity when growing a highly promiscuous runner bean for the Heritage Seed Library. 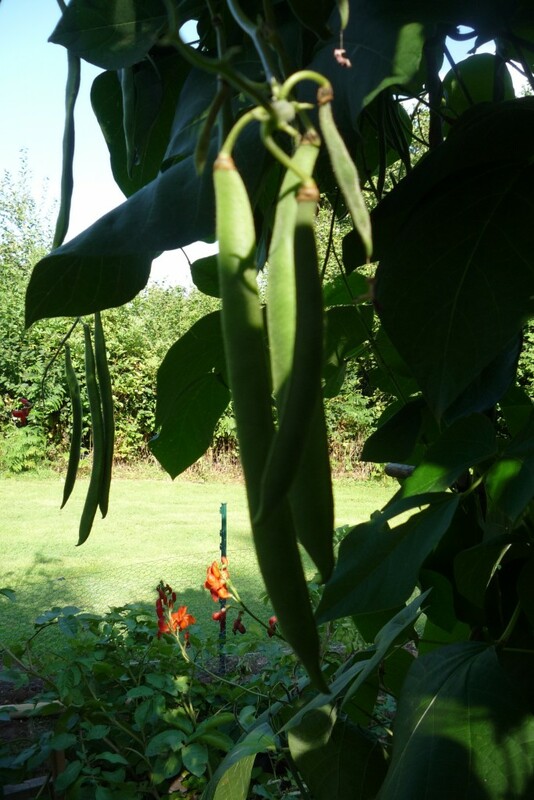 Stenner is a wonderful old English variety which produces an abundant crop of very long – often prize-winning – delicious beans. 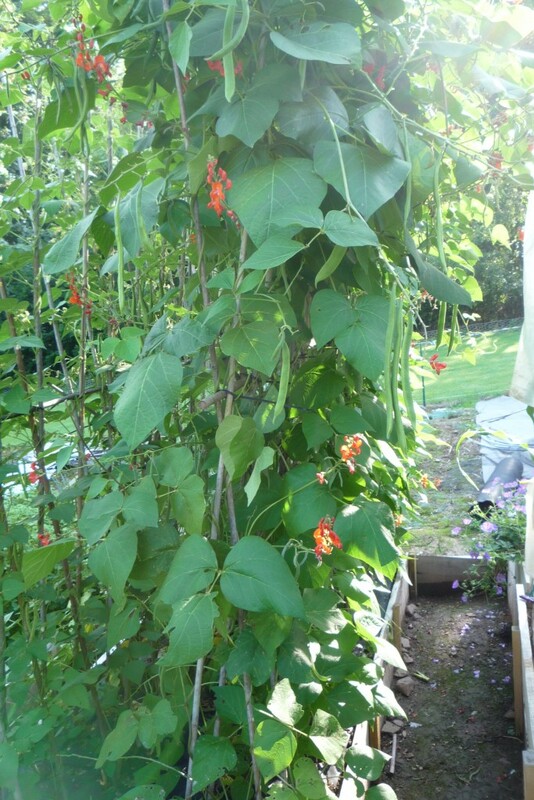 However, runner beans cross-pollinate for a pastime so growing them for seed means they need to be isolated from other runner beans; not an easy thing to do if you have neighbours who also grow beans… unless of course you persuade them to grow the same one, which is exactly what is happening on my lane. Yesterday I delivered every household around me a packet of my own Stenner seed that my son had grown in isolation in Switzerland. No one on his allotment in Zurich grew any runner beans so I knew they were pure. I had also grown a few last year to see how they performed, (see photo). Now, knowing there will be only Stenner being grown within a kilometre of my garden I am confident the fresh seed I have been given by the HSL can be grown outside without fear of being impregnated by a bee carrying alien pollen! I plan to document the experiment. It will be interesting to see who can grow the longest bean for the flower show, who gets the best crop and what variations in cultivation techniques are employed by my neighbours. Watch this space!